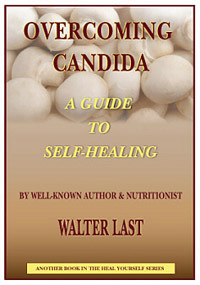 Candida-related problems (fungal infections) have become epidemic in recent decades. Candida is best known as causing the annoying itching of thrush but that is just the tip of the iceberg. More serious are the gastro-intestinal problems that it causes and a wide range of diseases and conditions when it invades the bloodstream. More often than not we may not even realize that our health problems are due to Candida and other microbes and parasites. Allergies, asthma, arthritis, auto-immune diseases, chronic fatigue, anxiety and depression, hyperactivity and attention deficit are all closely related to Candida and other microbes. Fortunately we have effective natural therapies to overcome Candida and other parasites. We do not even need to know if our problems are caused by this fungus or by any other microbes. The recommended natural therapies have broad-range anti-microbial effects, and are good to use by everyone once a year to eliminate harmful microbes and parasites. Pay securely with PayPal or with your Credit Card. Delivery in Australia & Overseas normally within 7-10 business days after receipt of payment. N.B.& FYI: The cost of overseas airmail postage is determined by Australia Post - NOT the seller.